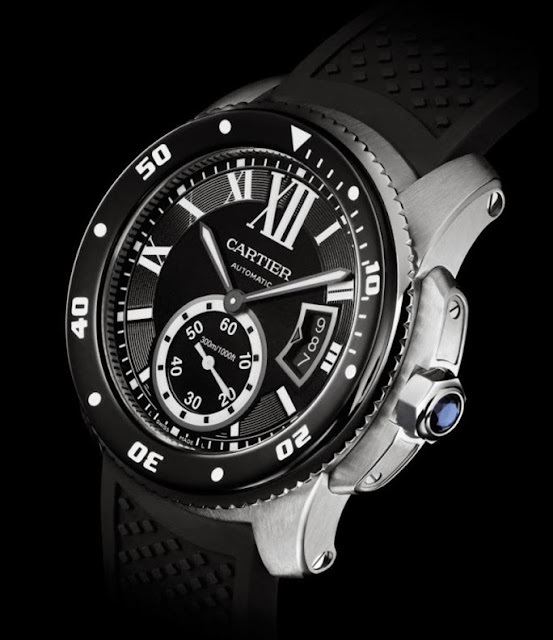 Cartier unveiled another SIHH 2014 preview: the Calibre de Cartier Diver, a watch that maintains Cartier's distinctive style while satisfying the technical requirements of the ISO 6425 standard for diver watches. The rigorous ISO 6425 tests verify reliability under water, resistance to condensation, resistance of crowns and other setting devices to external forces, water-tightness and resistance at a water overpressure, and resistance to thermal shock. All these tests are performed on any single manufactured watch, not just on samples. - resistance of attachments to external forces. Water resistant to 300 metres (1,000 feet), the stainless steel case of the Calibre de Cartier Diver has a diameter of 42 mm with a thickness of just 11 mm. The screw-in faceted crown is set with a synthetic spinel. The case alternates satin-brushed and polished surfaces. The unidirectional DLC-coated bezel has 120 notches so allowing precise adjustment to half a minute. 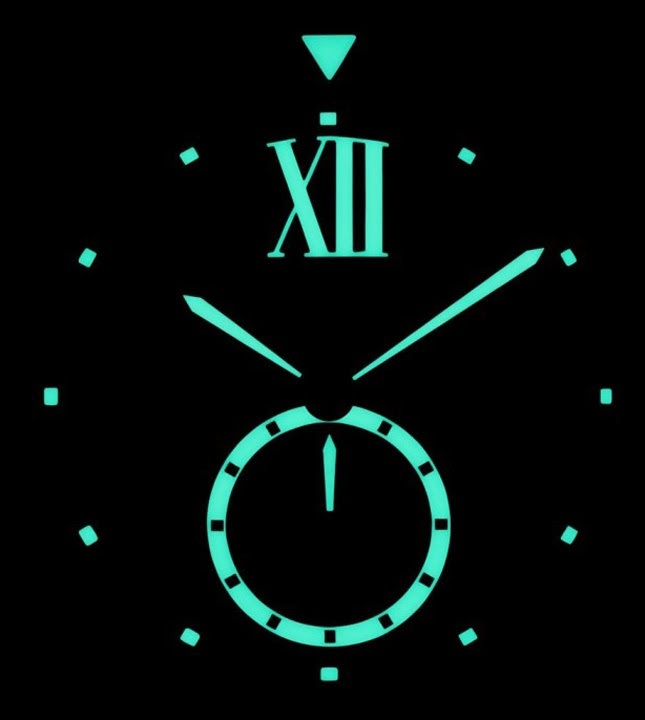 The dial is perfectly legible also in the dark thanks to the extensive use of SuperLumiNova which is applied to the markers of the rotating bezel, the sword-shaped hour and minute hands, and the small seconds counter. The dial features Roman numerals on the top and indexes on the lower part of the dial. The three date panoramic date aperture sits at 3 o’clock. 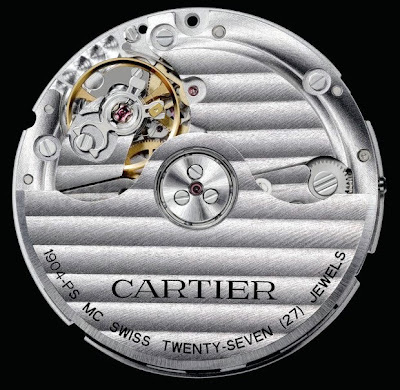 The Cartier in-house automatic movement 1904 MC, not visible in this model, offers a power reserve of 48 hours. The watch is delivered with a rubber strap or with a metal bracelet. 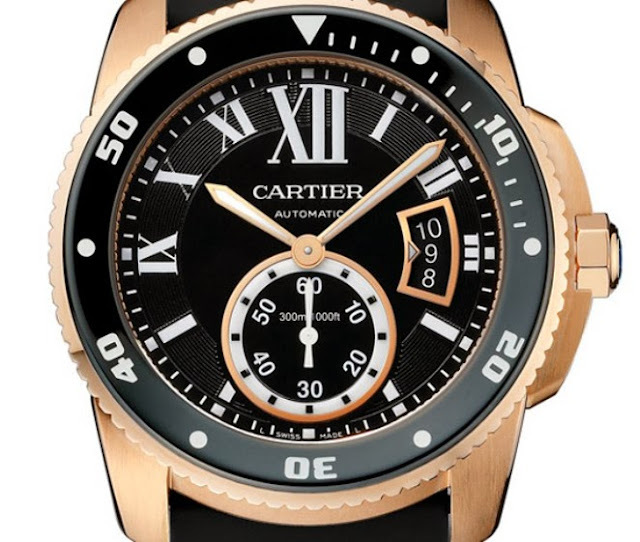 A pink gold version will also be available. 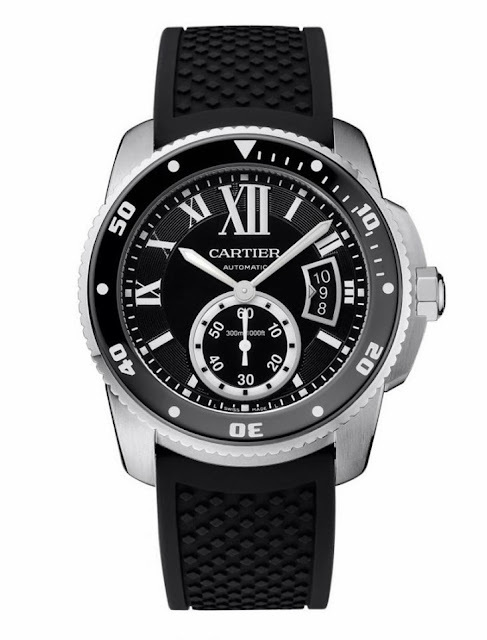 Prices start at 5,500 Euro for the steel version with rubber strap.